This beautiful pattern can be both a triangular and rectangular shawl. The rectangular version can be also used for a pillow cover, table runner, placemat or even as a bedcover. The amazing Klaziena Shawl was made from Scheepjes Whirl – Colorway 783 Brambleberry, but you can made it from any yarn you like! Don’t forget to share your work in our Facebook Group. The link to the pattern is below. 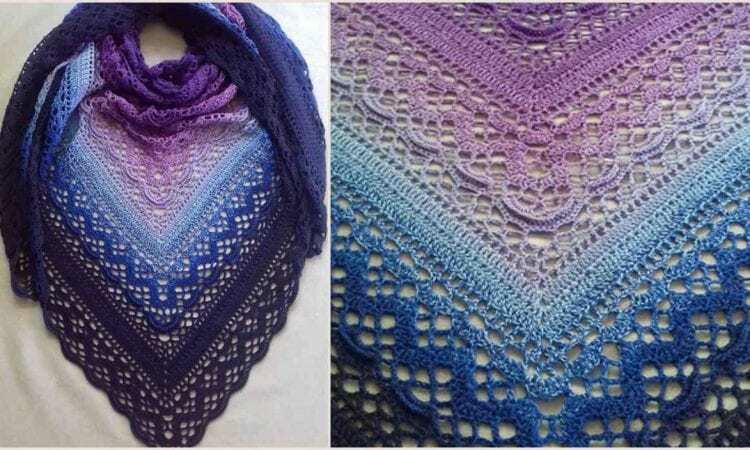 Klaziena Shawl – visit the free pattern site.